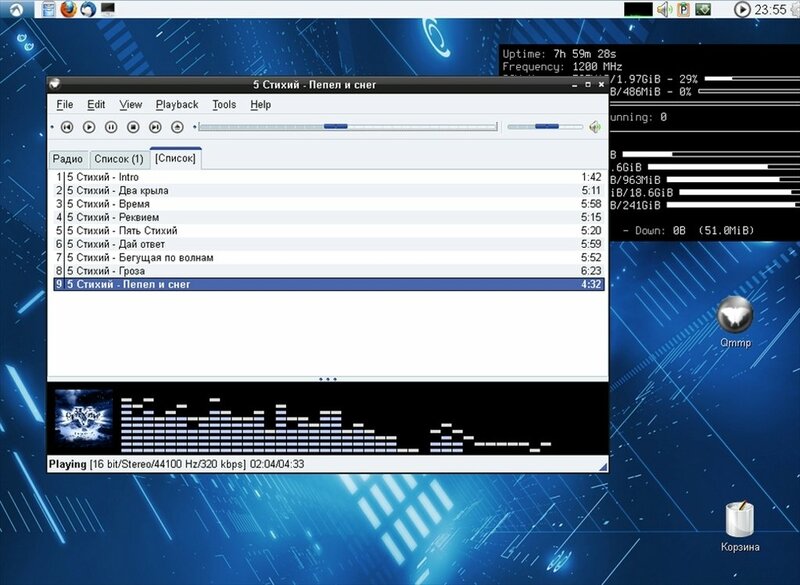 Qmmp is a complete music player for Linux based on the Qt libraries that is functional and simple. 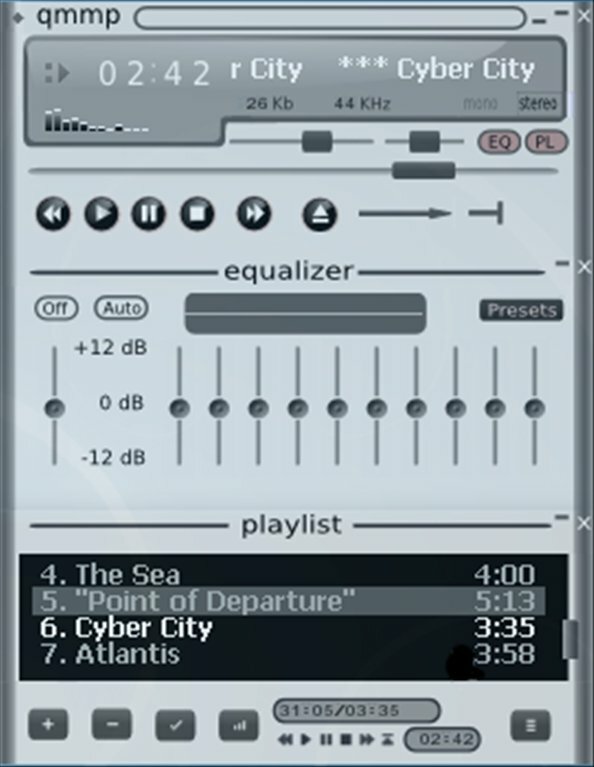 Its interface is very similar to that of other programs with the same features like Winamp or XMMS (that was its predecessor): in fact, it's actually capable of using skins that were developed initially for any of these two applications, that will allow you to customize its interface to make it a lot more appealing. Support for Winamp and XMMS skins. When it comes to choosing a player to use on your Linux distribution you have to take Qmmp into account. It incorporates all the main functions that a program of its features should include. Furthermore, its clear and functional interface will help you to easily handle it and to enjoy your music without any setbacks or distractions. Those users that come from the Windows platform will find in Qmmp a very familiar product. If this is your case, you shouldn't hesitate about getting hold of it: swapping platforms will be less traumatic. Don't miss the chance to download Qmmp for free.